* May 21 Social Tue 6p @ ? Weekly Newsletter Updates... Las Vegas WON proudly posts upcoming events, socials, meetings, guest speakers, local events and a wide aray of functions and results of past week’s events. Sarah Gordon is in charge of assembling the information and posted each week here on this web site. Enjoy and contact Sarah if you have any items needing to be posted for members to read about. Welcome to Las Vegas WON Rotary Club. From July 1, 2018 - June 30, 2019, the Las Vegas WOM Rotary Club rotates with three, not one, Presidents. These Co-Presidents each week will be a differnt President and Speaker. 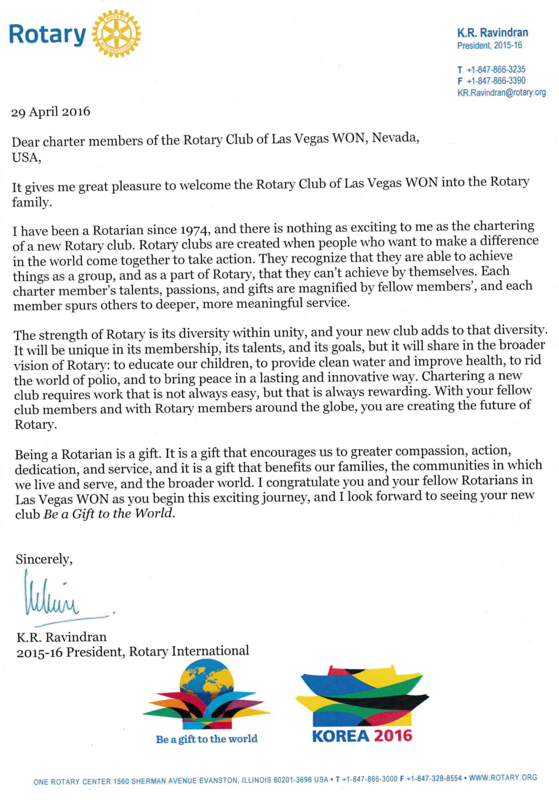 See all current, past Officers and Club Board, Club Foundation Board Members of Las Vegas WON Rotary Club, click Read more button. All members can be officers. 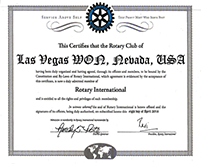 Las Vegas WON Rotary Club is a new style Rotary Club, with fresh, new, exciting ideas and ways to implement new technologies. 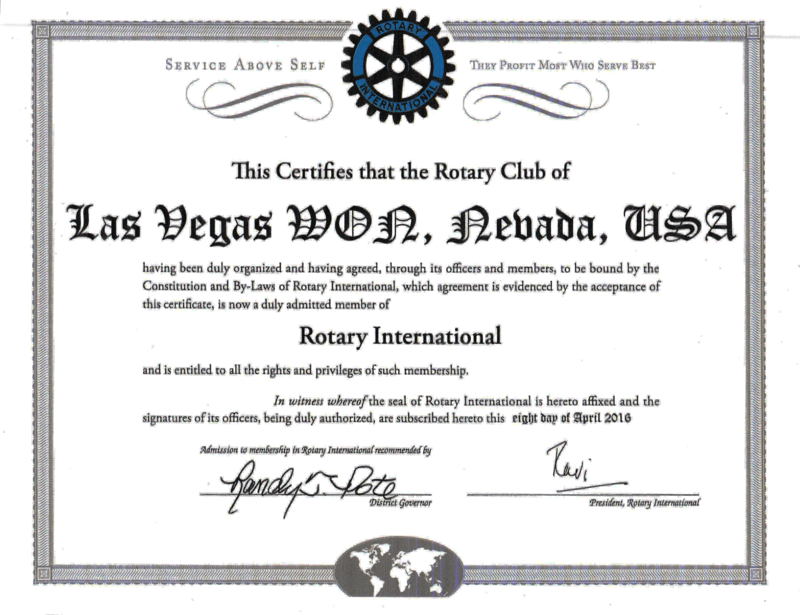 From the very first day of existence, Las Vegas WON Rotary Club has and will continue to set records throughout Rotary. * First Rotary Club to charter with 125 members, largest ever in 112 years. Each weekly meeting as well as events and outings we will share photos. You are welcome to view our Club phots.